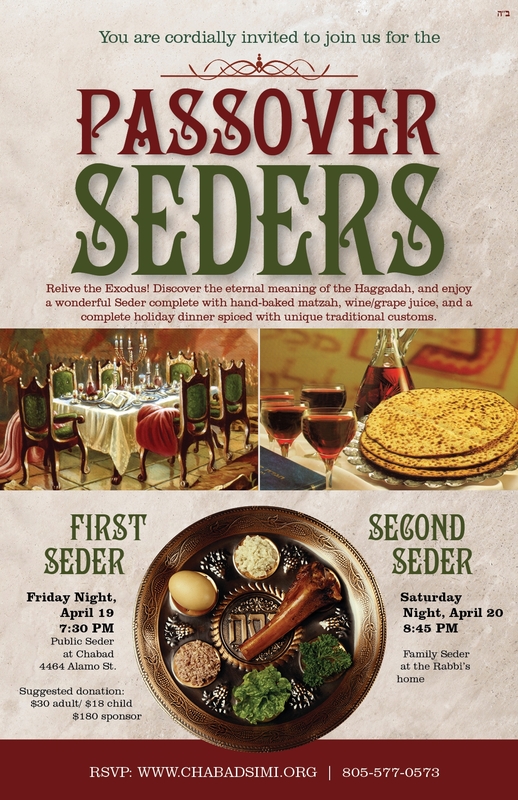 You are cordially invited to join us for the Passover Seders! Public Seder at Chabad Jewish Center - 4464 Alamo St.
Relive the Exodus! Discover the eternal meaning of the Haggadah, and enjoy a wonderful Seder complete with hand-baked matzah, wine/grape juice, and a traditional dinner spiced with unique traditional customs. (No one will be turned away due to lack of funds). Heimishe Family Seder at the rabbi's home. Seating is limited. Please reserve early!